To continue to Christmas spirit we bring you …..
eHobbyAsia: Limited edition A-TAC & MC ACR!!! No… someone didn’t party too hard and throw up on the ACR’s We are so excited to present this water transfer camouflage project to you!! Our first baby is here – Water Transfer coated MAGPUL PTS Masada ACR (Adaptive Combat Rifle), the ultimate modern weapon is finally dress up!! THE CLOCK Is here! Don’t make me say I told you so… Sale ends tonight!!! Hello! We in the GRU 13 SPETSNAZ airsoft team have developed a replica 6B7 helmet together with Milsim.se. For the informed these helmets need no introduction, 6B7 is the current standard helmet in the Russian armed forces. This high quality replica is made from glass fibre and only differs from the original in two visual aspects: The clasp for the chin strap looks slightly different and the liner is fastened slightly different. None of these details are easily visible from the outside. 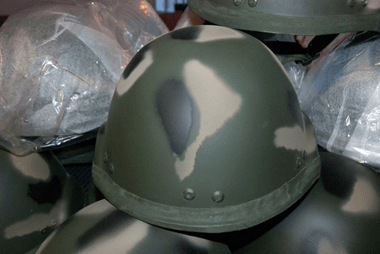 The helmets are manufactured in China from an original 6B7 we sent them to copy. The helmet replica is cheap at only 10% of what original 6B7 helmets cost on eBay on the rare occasions they are available. The first batch of 200 helmets have now arrived in Gothenburg, Sweden and are ready to be shipped now! +++ IMPORTANT +++ YOU MUST WEAR suitable footware – NO TRAINERS to be used to play in. Recorded near Falkirk in central Scotland in 2010, filmed on a Canon SX10is and Canon 550d edited on an apple macbook pro using imovie 09. Filmed, edited and produced by one person ME Scoutthedoggie. Players seen in this video come from all over the UK and Victoria Australia, Aachen Germany. Just a few outtake clips from OP: Battle For MUNG back in September. I was with these guys for a bit as they attempted to outflank The Town. Time lapse of a fairly small 16' log being cut into boards. four 2"x8" and 4 1"x6-8"
I am not a professional Sawyer, I just use it for my own personal use. Dr. Airsoft (Mark Vaughan, M.D.) tests the Eye Tactical CM 110 mask, goggles, and helmet system for Airsoft Medicine. The mask, goggles, and helmet system was oriiginally designed for use with simunitions. It is the first mask and goggles combination to survive Dr. Airsoft testing without letting bb's pass through.. See http://www.airsoftmedicine.com for more information about airsoft safety and protection. 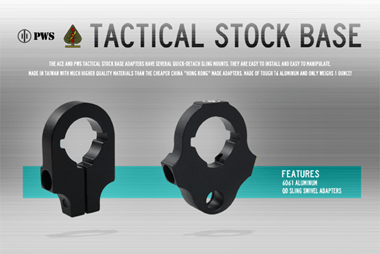 Madbull is out with two new products, the ACE Tactical Stock Base and the PWS Tactical Stock Base! 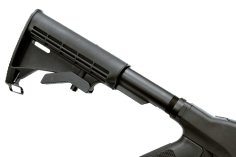 The Mad Bull Licensed ACE Buffer Tube quick-detach sling adapter model ACE-SB is fully licensed by ACE LTD. USA. Incorporated with quick-detach swivels, our ACE sling adapter has two quick-detach sling mounts, one left and one right. It is easy to install and easy to manipulate. 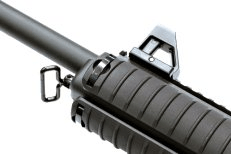 The Mad Bull Licensed PWS buffer tube quick-detach sling adapter is fully licensed by Primary Weapon Systems. The adapter features PWS licensed logos and trademarks. 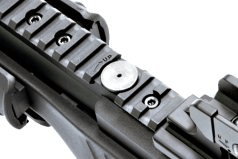 Incorporated with quick-detach swivels, the PWS sling adapter has three quick-detach sling mounts, one on the left, one on the right, and one on the bottom. It is also easy to install and to manipulate. Both are made in Taiwan from high quality T6 6061 aluminum that only weighs 1 ounce! 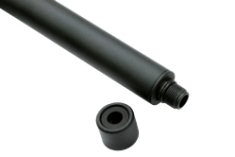 Fits most buffer tubes and accepts most universal sling swivels. Dr. Airsoft posted a video review of the Eye Tactical CM 110 mask, goggles, and helmet protection system made originally for simunitions and now modified for airsoft. This is the first single mask and goggles combination product to effectively protect against any bb penetration since Dr. Airsoft started testing. 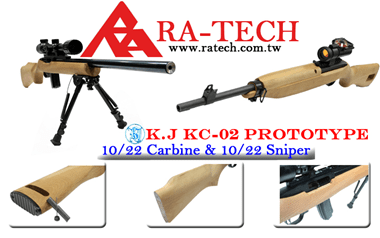 RA-TECH has done the CUSTOM sniper version and carbine version for KJ WORK KC-02 GBB , and both wood stocks made by beech. The EST date is around middle of Jan. Please check out our new products added daily! Latest Products Update !! 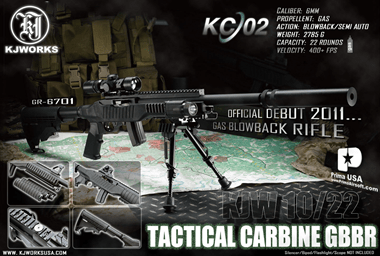 Please kind to visit our website (http://www.airsoftglobal.com/index.php?cPath=510_670) to obtain more information! TIME TO TELL THUMPY WHAT YOU WANT IN 2011! We want to make Thumpy’s 3-D House of Airsoft THE #1 Place You WANT to go for all your AIRSOFT NEWS! So, it is YOUR TURN to tell us EXACTLY what you want to see in the New Year. …and we will keep you posted on the results, the answers and what the BIG GUNS in Airsoft have to say about Thumpy’s 3-D.
OH, and there MAY be a "big prize" at the end of this survey for some lucky Thumpy’s Fans, so tell your Gun Buddies, too! 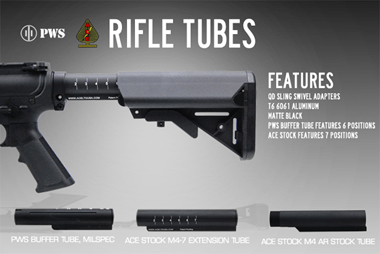 New Madbull ACE and PWS rifle tubes! Mad Bull Licensed ACE Buffer Tube model M4-7 is fully licensed by ACE LTD. USA and the Mad Bull Licensed PWS (Primary Weapon Systems) buffer tube is fully licensed by Primary Weapon Systems. These incredible new designs allows for easy storage for your lipoly battery. No longer do you need to use a battery box, battery pouch, or any other style external battery option. Both of these products feature completely new designs that takes in the essence of the previous designs and takes it to the next level with several new features. The end cap no longer needs a small screw to be removed, which can waste crucial playing time. The cap now simply just twists off for quick access to your battery! 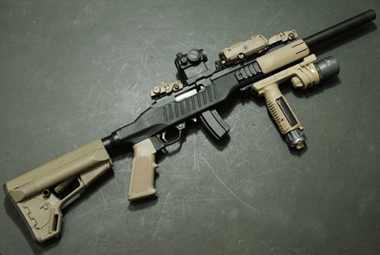 Both the M4-7 tube and PWS Buffer Tube include fully licensed trademarks, stock position markings, and quick-detach sling adapter (swivel not included). Made in Taiwan with much higher quality materials than the cheaper China "Hong Kong" made buffer tubes. Made of tough T6 aluminum and only weighs 3 ounces that’s half as much as other brands! Both fit any buffer tube lipos and fits best with the Mad Bull Lipo and SOCOM Gear Lipo type. 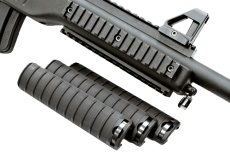 *Remember that the back of the lower receiver must be cut to 25mm for installation of any lipo tube and crane stock setup. Lipo and sling swivel not included. As some of you may have noticed Airsoft4You.com has been on and offline for the last few months, due to a number of reasons with our suppliers and other problems, however we have now sorted out all those issues and we are going to be online in 2011. We have just made a small order from a new supplier based in Hong Kong, these items are expected to be here by the middle of January, hopefully it won’t get delayed by Chinese New Year. Our order contains the following; they are available on pre-order at the following prices. They are available for pre-order, until the website is online please contact via email sales@airsoft4you.com or PM us for any questions to do with these or any other products. 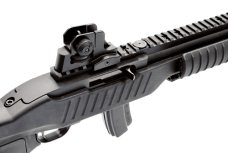 New Tanio-Koba designed 10/22 style KC-02, we have given the original 10/22 a much more modern tactical spin with tactical rail and AR15 style stock.Manufactured from the original Tanio Koba precision molds, this 10/22 delivers the same legendary performance that early enthusiasts will remember. Now back with equally high upgrade potential as the original! Hi Arnies, Hope everyone is enjoying the festive holiday! We had a such a good time at our special in store sale yesterday that we thought we would extend some of the best offers to our online customers too! 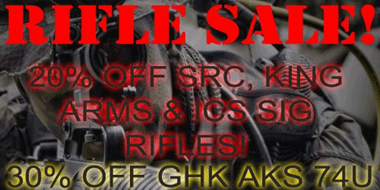 20% off King Arms, SRC and ICS SIG rifles. We are also offering free Parcel Force delivery on UK Mainland orders over £50 and Northern Ireland orders over £75! Payment can now be made by Paypal for a small charge as well as credit or debit card. While stock lasts. Until 5th January 2011. S-Thunder is pleased to announce that it has included Spartan Imports based out of San Francisco, USA as one of its distributors in the United States. Yu-Hon Li, Director of Business Development of S-Thunder states that "we are pleased to include Spartan Imports in S-Thunder’s family of distributors worldwide. Along with the excellent distribution teams at On Target Airsoft and Evike.com in the United States, we feel that the addition of Spartan Imports will help widen S-Thunder’s presence on the west coast and the midwest regions of the United States. As with all of our distributors, we feel Spartan Imports will help introduce and educate both retailers and players about S-Thunder’s unique, durable and cost effective milsim product line that is suitable for use by both recreational milsim players as well as those in the military and tactical training." S-Thunder would also like to take this opportunity to wish everyone a Happy New Year!